Baloo lives with Nick and Victoria in Wiltshire with his little companion Mozzie, the Miniature Schnauzer. For the last seven years Baloo has been a larger than life presence in their home. Despite his size, he has a calm and gentle nature. Unfortunately, over the last few months Baloo had rapidly been losing the ability to walk and was finding it harder to get around and play like he used to. 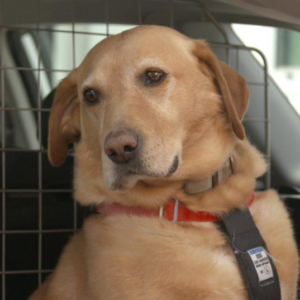 The family were referred to Fitzpatrick Referrals, where they met with the team of neurology specialists. An MRI scan showed that one of the discs in Baloo’s cervical (neck) spine had collapsed, which was squashing his spinal cord. 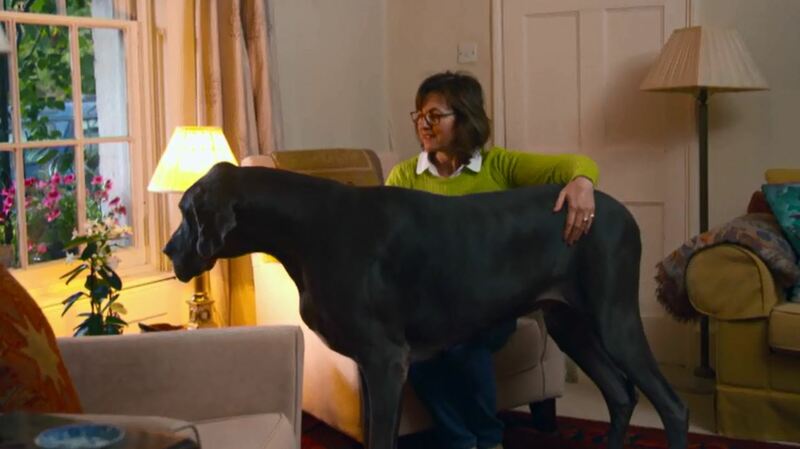 This compression caused the nerve signals that travel up and down the spinal cord, to and from the brain to have difficulty getting to his back legs, meaning he lost feeling, strength and co-ordination in them. Baloo needed an advanced procedure, a cervical spinal distraction fusion, and so he was internally referred to Professor Noel Fitzpatrick. However, on the day of his surgery, Noel identified an additional problem - Laryngeal Paralysis. To function properly, the larynx (voice box) must open the vocal cords to allow inhalation and exhalation, and cover the trachea during swallowing, so any problems with it can be life threatening, especially when recovering from a general anaesthetic. Noel explained that he was not prepared to operate until Baloo’s larynx had been checked out by his soft tissue team at his other hospital. Fortunately, following a visit to see Professor Nick Bacon, rigorous tests established that Baloo was well enough to have the advanced surgery with Noel. 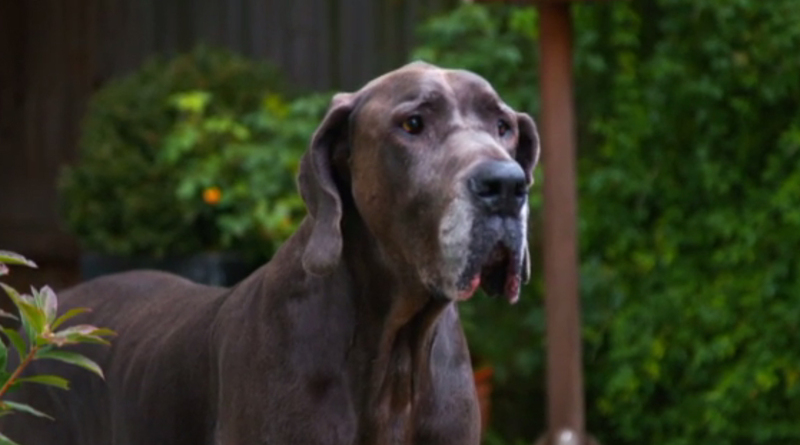 At 89kgs, Baloo is one of the largest dogs on which Noel has performed spinal surgery. Because of his great size, Noel had to use CT scans to design an extra-large, re-enforced custom implant. In theatre, Baloo was laid on his back to allow Noel to access the discs and vertebrae from underneath, keeping clear of his spinal cord. After removing the pieces of Baloo’s collapsed disc, Noel could then insert two vertebral spacer screws before securing them with the custom-made plate. 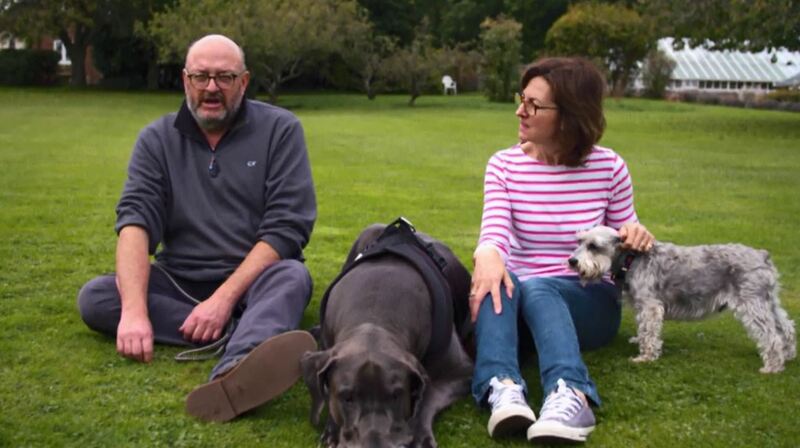 Next, Noel added bone graft taken from Baloo’s humerus and packed it into the surgical site so that it would heal around the vertebrae, plate and spacer screws and help the body support itself, rather than relying on the plate forever. 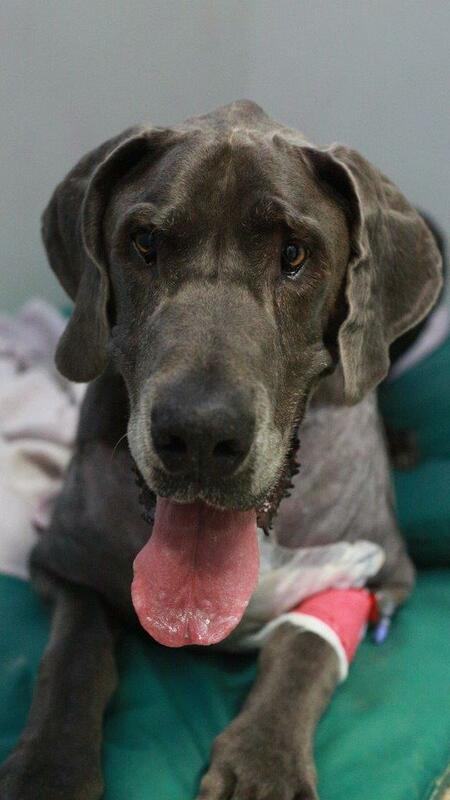 Noel was satisfied with the postoperative imaging and Baloo was carefully woken up from the anaesthetic and kept at the practice under the close care of the team. Four days later, Baloo was well enough to go home. The family were relieved, having worried so much that nothing could be done for him. 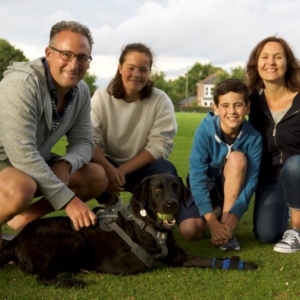 It can take many months for damaged nerves to repair and in some cases, like Baloo’s, there is no guarantee that there would be total and complete recovery, but the family would take it one day at a time.